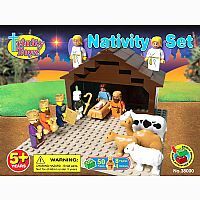 A nativity set that children can play and learn with. 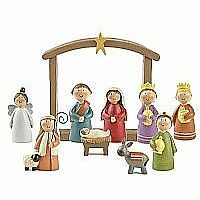 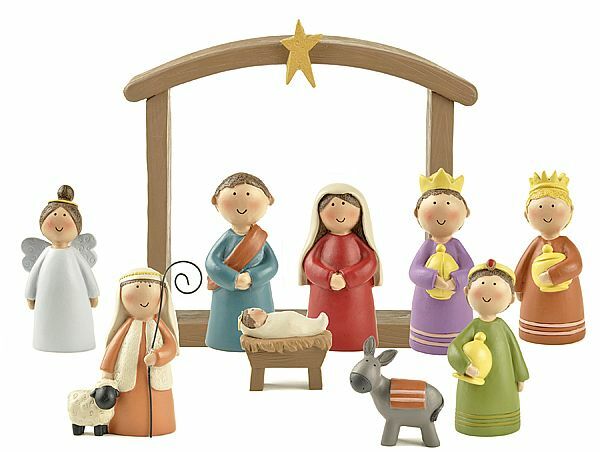 This 10-piece set includes Joseph, Mary, Baby Jesus, Creche, Angel, Shepherd, Donkey, and Three Wise Men. Tallest Piece is 5" L x 5" W.